On September 19th, 2017, I kept feeling that something was not right, that something was about to happen. Later that night I saw Hurricane María’s trajectory as it landed in the Southeastern coast of Puerto Rico and began to travel across the 100 x 35 square miles island, Vieques and Culebra for hours. until they could reach me. Some of them had already been living without electricity since Hurricane Irma had passed by the island fifteen days earlier. There was no way that the infrastructure would withstand another a hurricane, a category four hurricane. To be honest, I was in shock for days. I think many of us were, both in the island and in the diaspora. It was the only way to cope with not knowing how people were, how our towns had fared, who had been injured, who needed help. Shock and prayer were all we had. I was teaching a new course for Ethnic Studies titled Race, Ethics, Justice. 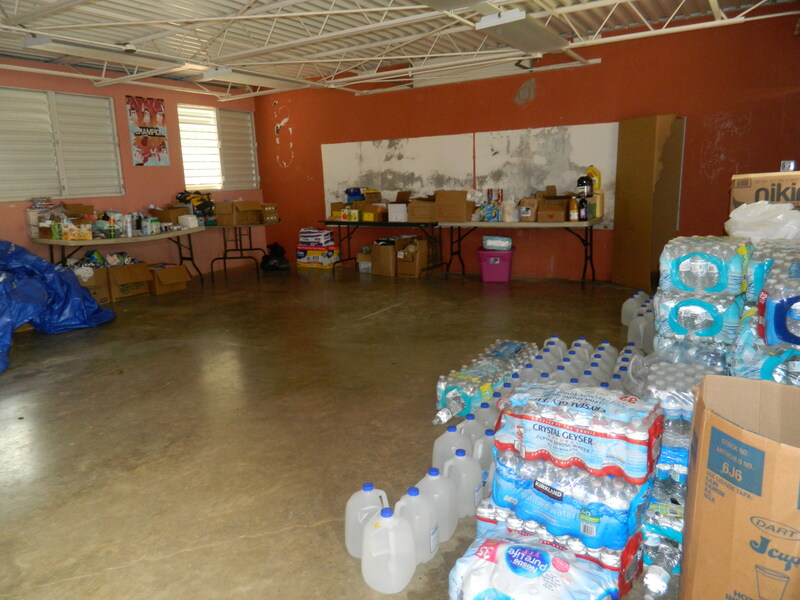 Hearing the news, the ways in which our suffering, Puerto Ricans’ fear, hunger, illness were being dismissed, unseen, by government officials, a paralyzing pain began to emerge, one that could only be healed through action. 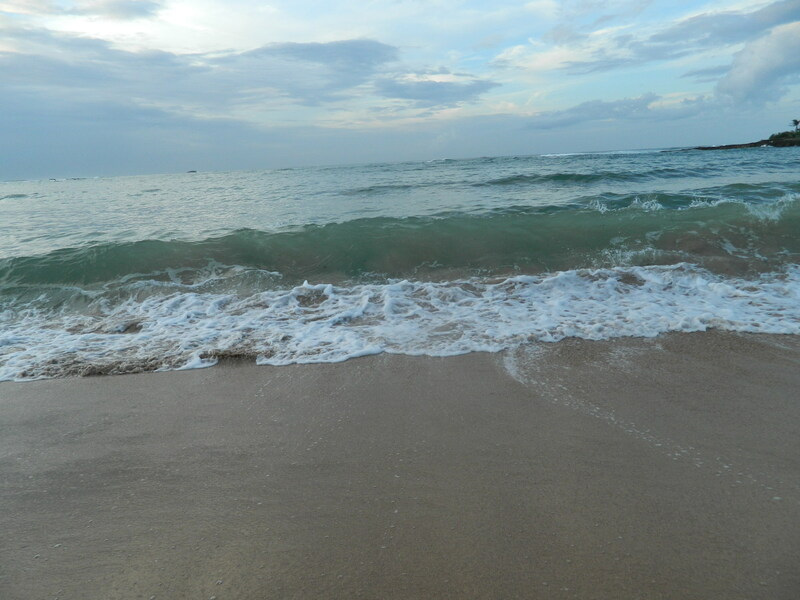 But, what kind of action?, I asked myself, when we are here, so far away, in the Pacific coast. 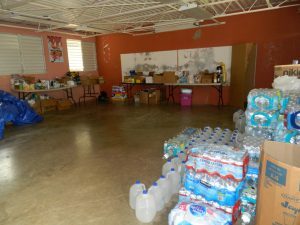 After two weeks of barely any news from the mountainous regions, of almost nonexistent aid delivered to island, of Jones Act obstacles, of loud outcry by friends and allies yet silence from loved ones, I arrived to school and asked my students if they wished to turn the humanitarian crisis in Puerto Rico into a case study for the class. I asked each one of them how they thought they could contribute to help educate others about what was happening in the island. That is when this project-The UO Puerto Rico Project: Hurricane Maria and Its Aftermath-was born. Every student had something to say, to do, to create. They were inspiring in their commitment to make a difference. They proposed to do research, create educational timelines, and fundraise to send a documentation and relief student delegation to Puerto Rico. And they did it all, while spending a whole quarter reflecting on the meaning of justice and ethical behavior towards Puerto Rico-our dear Boriken-at this critical juncture. I could not have been prouder of my students and how they inspired a whole community on and off-campus to collaborate to make The UO Puerto Rico Project a reality. This was the beginning of a journey only possible by our students’ capacity for critical inquiry, empathy, solidarity, and hope in these harsh times. And miracles happened over six weeks . . .
Bibliographies were put together by our research team to prepare us for our journey. The UO Puerto Rico Project Facebook Page and UO Puerto Rico Project You Tube Channel became news outlets. Four of us drove around the island meeting the amazing local advocates of Corillo 100 x 35, the Brigada Solidaria del Oeste, and the Centro de la Mujer Dominicana, among many others including churches, emerging rural community leaders, makeshift community centers, and schools. You will find stories collected in our journey, as well as with Puerto Ricans living in Oregon, in our Storytelling section. We delivered around $5000.00 in aid and spent four days documenting what we saw in the island, in particular its hinterlands. You will find photos in our section A Photographic Journey. 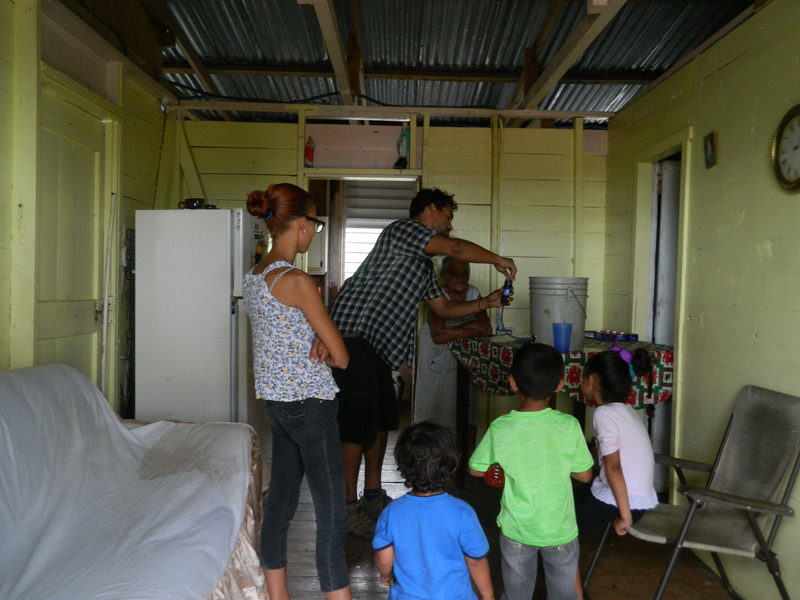 With Brigada Solidaria del Oeste, installing water filters for rural families and communities in Maricao. With Brigada Solidaria del Oeste at a school in Maricao that serves as a shelter and relief center. The historical timelines students created to educate themselves and others are conversation starters about Puerto Rico history, and natural disasters and relief efforts in U.S. territories now and at other times: Puerto Rico History and Hurricane Maria and U.S. Relief Efforts in the Pacific. May all these resources sparkle other beginnings . . . other ways of learning about Puerto Rico-Boriken-in the aftermath of Hurricane Maria. May other stories tell us about seeds planted in the middle of destruction that flourish into possibilities not quiet imagined before.